Home of the Pro Certified Lifetime Power Train Protection This 2018 Dodge Grand Caravan is a one-owner vehicle and has a clean CARFAX with no damages or accidents reported! 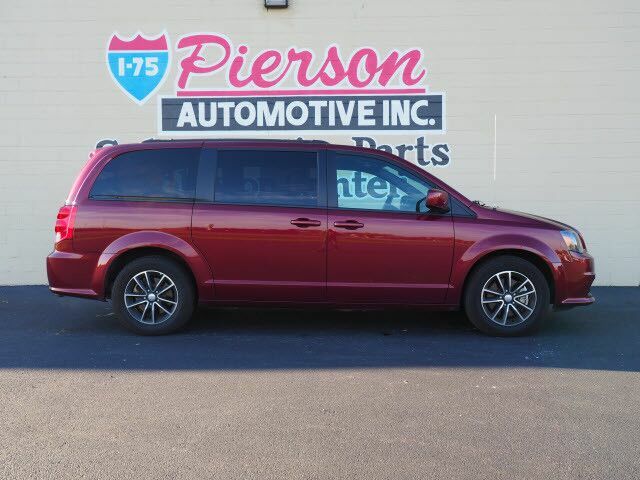 This Grand Caravan is a fully loaded GT model that comes equipped with leather seats, power doors, power tailgate, navigation, heated front seats, heated steering wheel, rear-window shades, Bluetooth phone and audio and much more! This 2018 Dodge Grand Caravan comes with a CARFAX Buyback Guarantee, which means you can buy with certainty. You can finally stop searching... You've found the one you've been looking for. There is no reason why you shouldn't buy this Dodge Grand Caravan GT. It is incomparable for the price and quality. The quintessential Dodge -- This Dodge Grand Caravan GT speaks volumes about its owner, about uncompromising individuality, a passion for driving and standards far above the ordinary.